Get greater stability, and keep ladders from scratching wall surfaces with a ladder stabilizer. 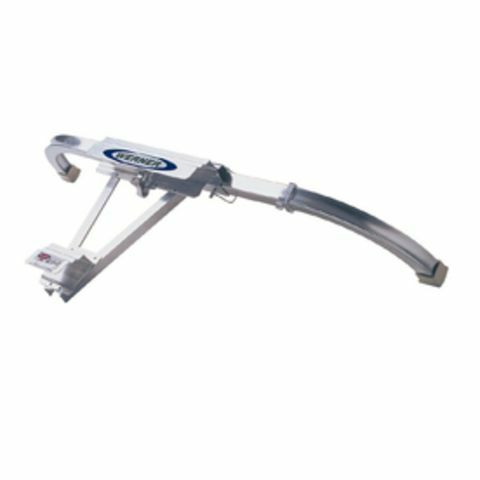 A ladder standoff is a simple device that bolts on to a ladder rung to keep the ladder rails about 10 inches from the working surface. The result, is greater stability and safety, and reduce damage to walls or points the tips of a ladder rental lean against. DO: Always face a ladder when ascending or descending. DON'T: Don't carry tools in your hands when going up or down a ladder. Use a tool belt, or a hand line instead.